New NBA Philadelphia 76ers Boy Sweatshirts Medium M 10/12 FREE SHIPPING! 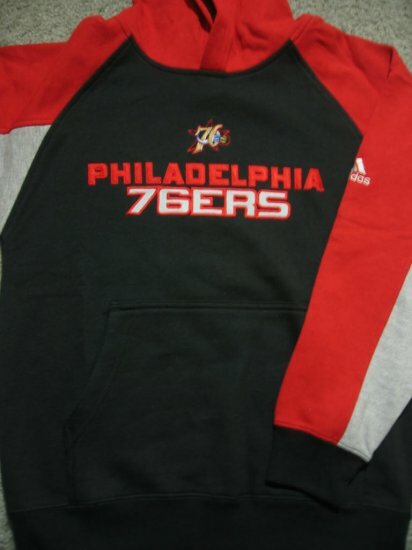 Brand New Philadelphia 76ers Boy Adidas Sweatshirt with Hoodie. This is 100% NBA authentic. We do not sell fake items! Made of 55% cotton and 45% polyester. FREE SHIPPING in the US and to Canada. Buyer from other countries, please ask for a shipping quote. New Timberland Men T-Shirt Black Size Large L Timbs FREE SHIPPING! Indonesian Komando Army Commando / Special Force Patch FREE SHIPPING! New NBA Minnesota Timberwolves Infant Onesie Baby Girl size 6/9M FREE SHIPPING!